"Jane had a stuffed toy chimpanzee named Jubilee. She cherished Jubilee and took him everywhere she went." 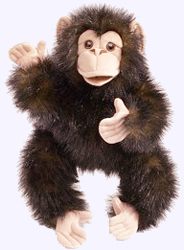 Children will be sure to cherish this Baby Chimpanzee Puppet too. 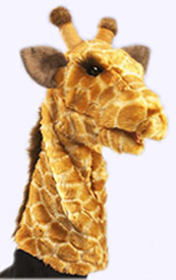 Hand Puppet is 15"tall. Jane loves to be outside with animals. Come with Jane as she explores our magical world and makes her dreams come true. 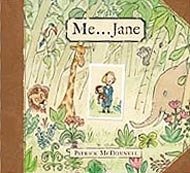 An inspiring story of the young girl who would grow up to be Dr. Jane Goodall --primatologist, environmentalist, humanitarian, and United Nations Messenger of Peace. Hardcover. Picture Book. Ages 5 & up. 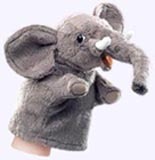 This Elephant Puppet is a majestic pachyderm that incorporates the animator to lift and move the trunk when you slip your hand inside his head. 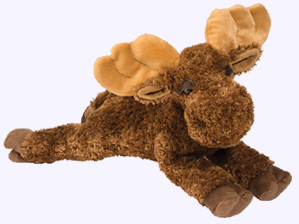 Designed with realistic touches, an ultra-soft micro-fiber fabric, and a movable mouth. 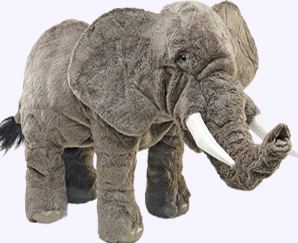 Elephant is 20' long. When Rudyard Kipling wrote The Jungle Book nearly 120 years ago, he used his imagination and experiences in the Indian forest to create a majestic domain where animals formed their own societies. In 1993, Don Daily brought the jungle to life with beautiful illustrations detailing the worlds of Mowgli, Baloo, Kaa, Bagheera and other jungle dwellers. The stories teaching morals, self-discovery, loyalty and friendship are revived like never before, featuring a spectacular 8-page gatefold and full color spreads. 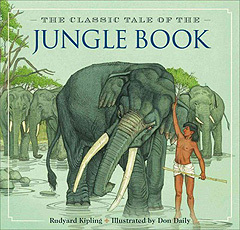 This newly reformatted hardcover classic edition of The Jungle Book features the faithfully reproduced tales with Don Daily's original illustrations, using the world's highest quality scanning and printing technology. Hardcover. Author Rudyard Kipling. Ages 4 - 7. 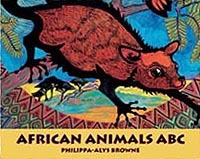 A lovely rhyming alphabet book of African animals which takes young readers on an African tour of the alphabet, depicting such creatures as the xoona moth and the elephant. Each creature is profiled in a natural history setting. 7 3/4" x 9 1/2' Board Book by Stella Blackstone. Ages 2 - 6. Newly redesigned King of the Jungle is ready to roar! 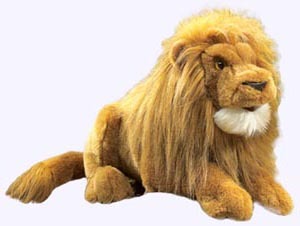 This 16-inch beast will proudly reign with its soft-and-fluffy mane and stoic pose. Bring home the dignity of wilderness! 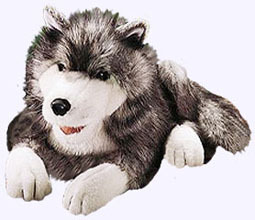 Featuring feathery plush and a gentle, movable mouth, this realistic Timber Wolf puppet is anything but ferocious: it's hungry for love! 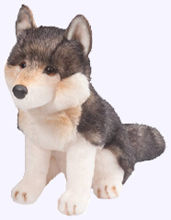 Timber Wolf is 18" long with tail and is 9" tall. 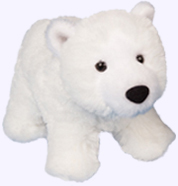 This plush Atka Wolf is 11" sitting. It complents the story of The First Dog by Jan Brett. 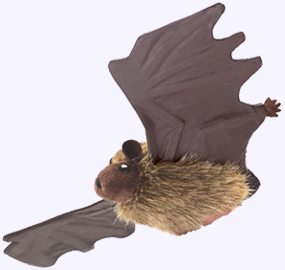 This 8" Hedgehog puppet has places for all five digits, has a soft, short plush face and underbelly and a shaggier back and head. 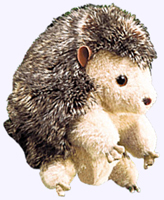 It can turn inside out to form the kind of ball a real hedgehog rolls into for protection from predators. 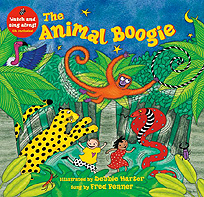 Dance with 8 kids and their animal pals through the jungles of India. Paperback w/CD. Ages 3 - 7.